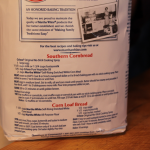 Nothing goes better with our venison stew than cornbread. 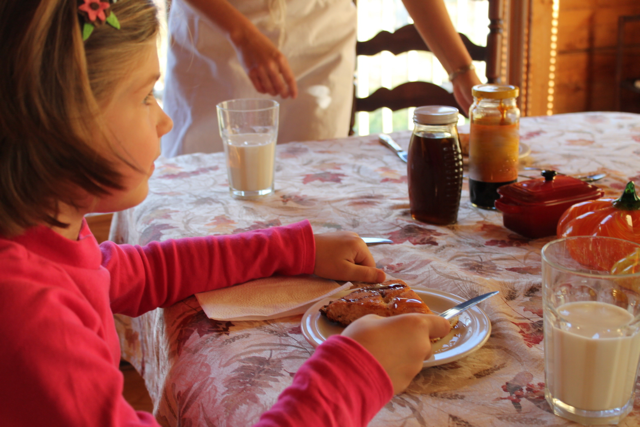 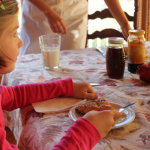 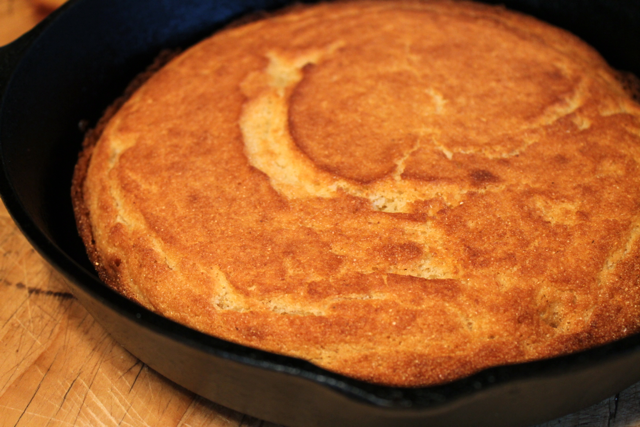 We needed to learn how to make the perfect Southern cornbread and we knew exactly who to go see! 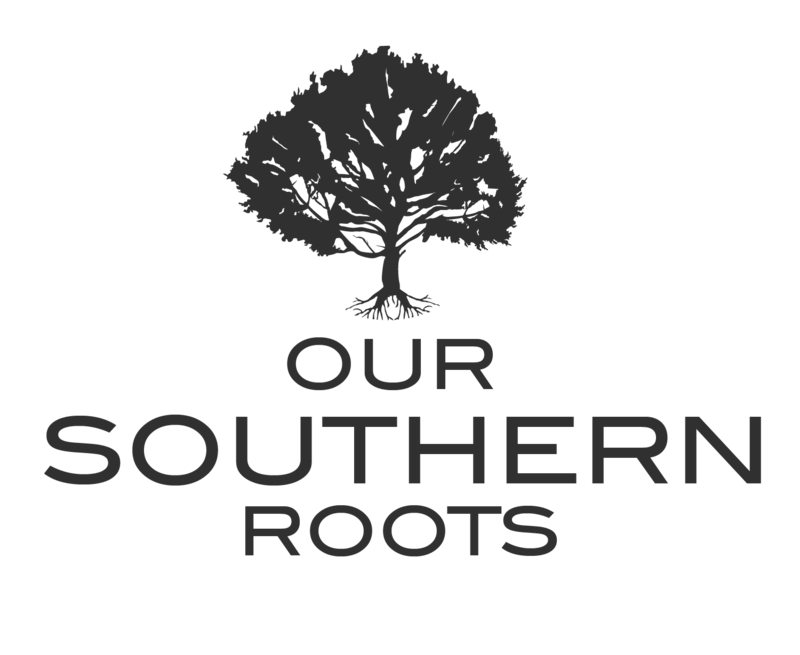 These dear friends are fourth and fifth generations living on the family farm – so to say their roots are deeply planted in Southern soil is an understatement! 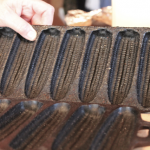 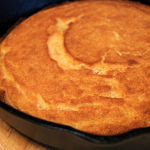 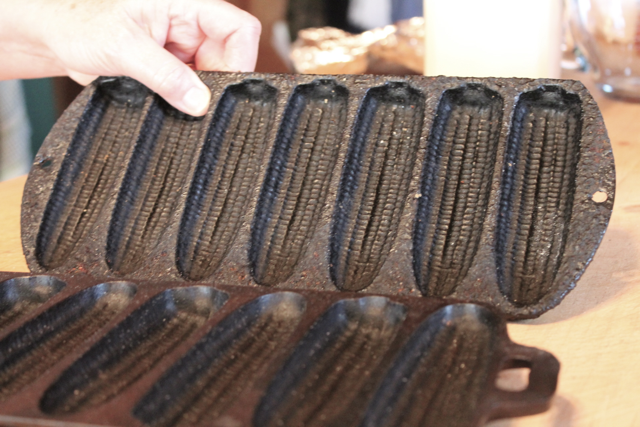 While this way of baking cornbread may not go all the way back to that first generation of landowners, it certainly goes back many years. 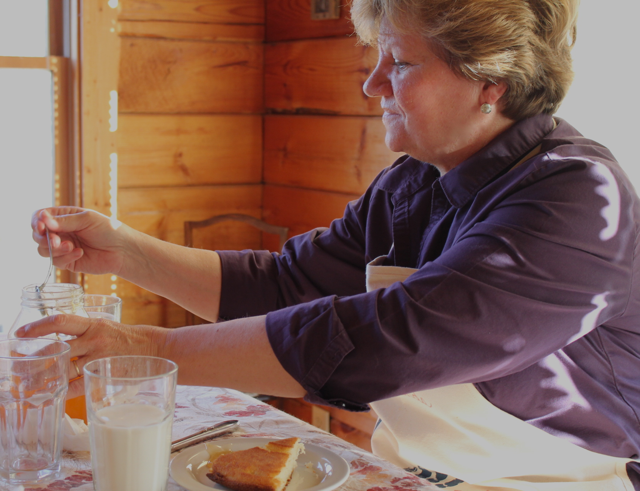 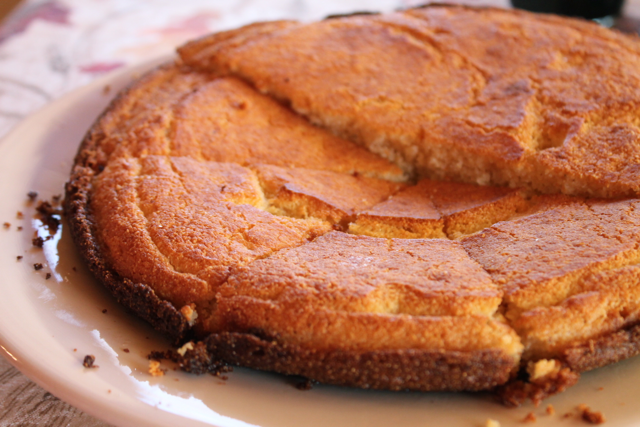 Our host told the story of how she learned to make cornbread as a young woman – while her mother was in the bed with a bad back. 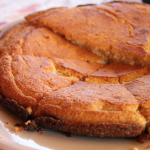 She remembers running back and forth to the bedroom asking if she had the right amount of each ingredient until she learned to make the cornbread on her own. 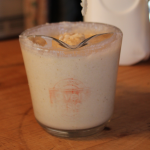 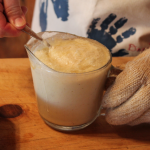 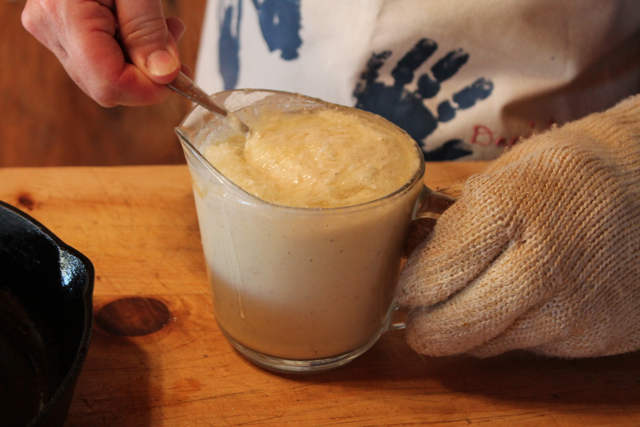 Today, she still mixes her batter in the same glass and measures them by their depth saying the cornmeal need to be, “right about here…” Don’t worry, we’ve got the actual measurement of cornmeal for you in our recipe! 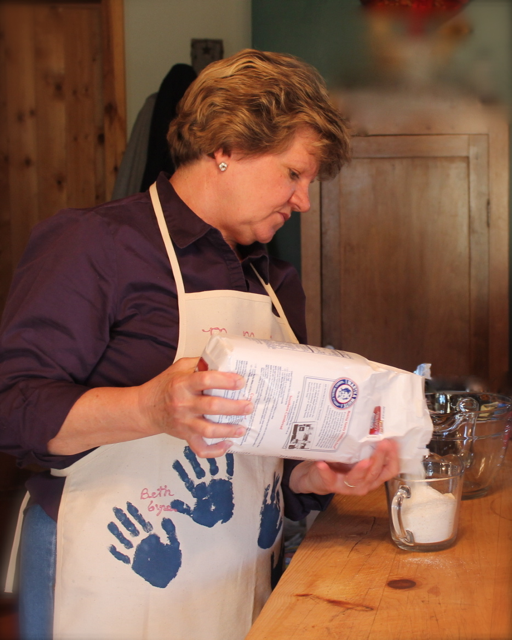 While Mrs Kathy makes her cornbread in her mother’s glass cup, often bakes it in her great-grandmother’s mini loaf pans and mixes up her batter by eyeballing and stirring, I began to wonder if it was going to take me years to master this recipe. 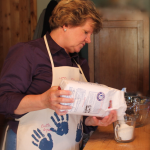 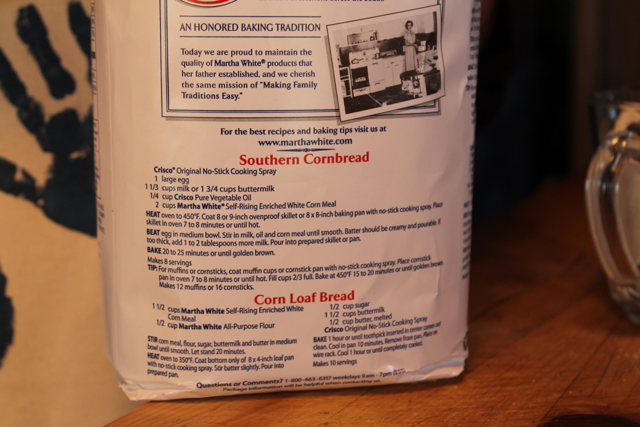 I couldn’t believe that her ingredients are almost the same as Martha White’s Southern Cornbread recipe on the back of the cornmeal bag! So, if the special touch isn’t in the ingredients themselves, what is it that makes this cornbread so delicious? 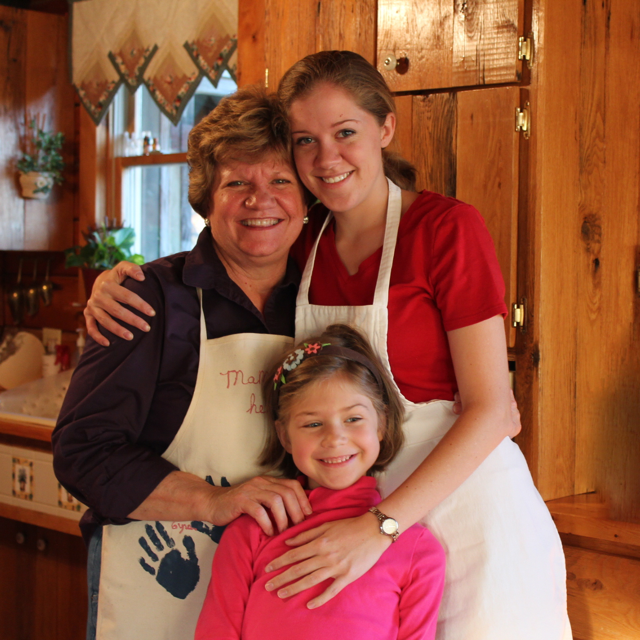 It’s the order of steps, the cast iron skillet, and the hot bubbling oil she mixes into the batter! 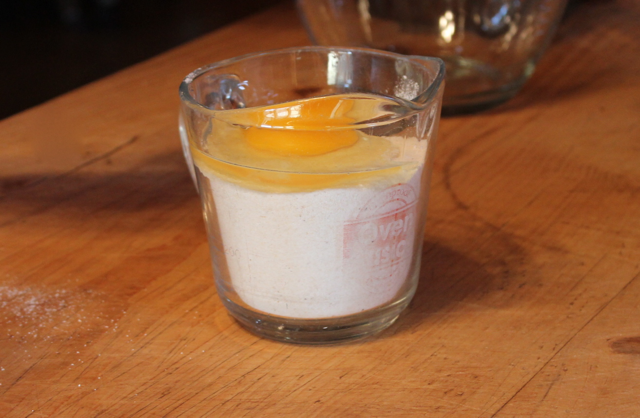 Measure flour and top with egg. 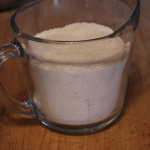 Pour hot oil from skillet into batter and carefully stir. 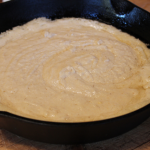 Pour the batter into the sizzling skillet. 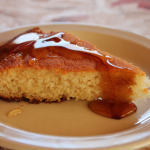 While this hot and golden cornbread topped with butter and local molasses is a true treat – it can’t beat spending the afternoon with friends – fellowship and food, it really doesn’t get any better than this! 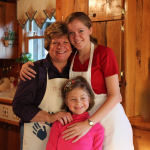 Thank you Kathy and Beth for opening your home to my daughter and me and for sharing your recipe! 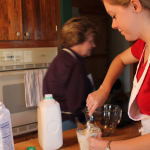 Read on to learn how! 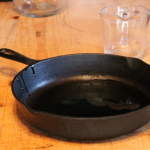 Pour oil into cast iron skillet and heat in 450 degree oven. 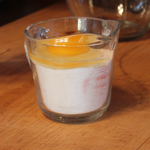 Measure cornmeal into mixing bowl and then top with egg. 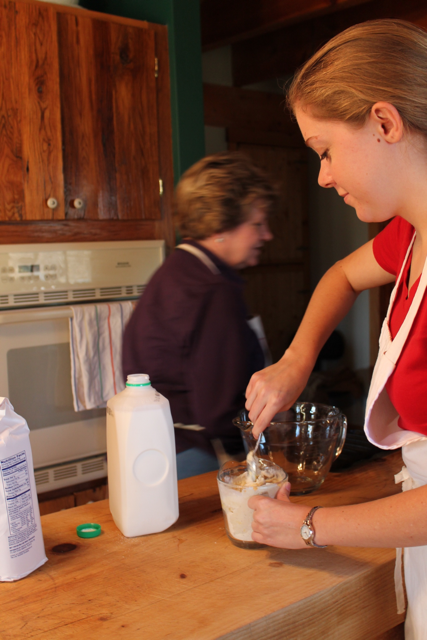 Add milk slowly while stirring batter until it is smooth and lumps are gone. 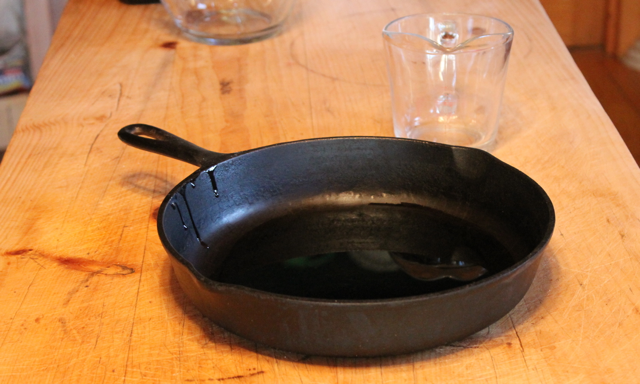 When oil is hot and bubbly, remove skillet from the oven and very carefully pour hot oil into the mixing bowl. 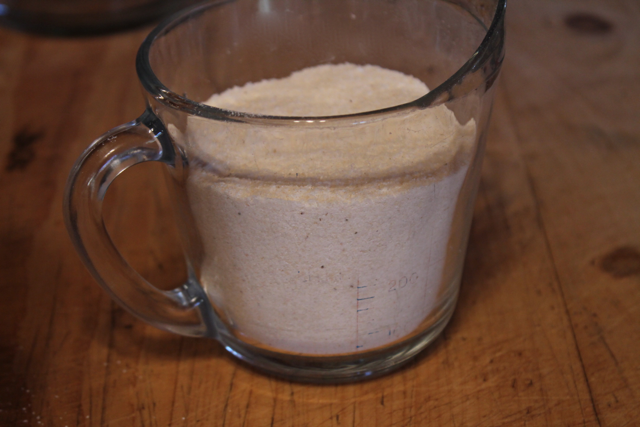 Stir oil into the batter. 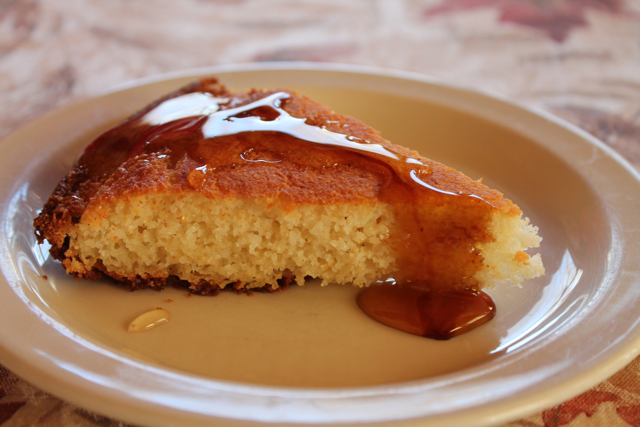 (You will hear exciting sizzling sounds and this is when you may start drooling in anticipation of what’s to come!) 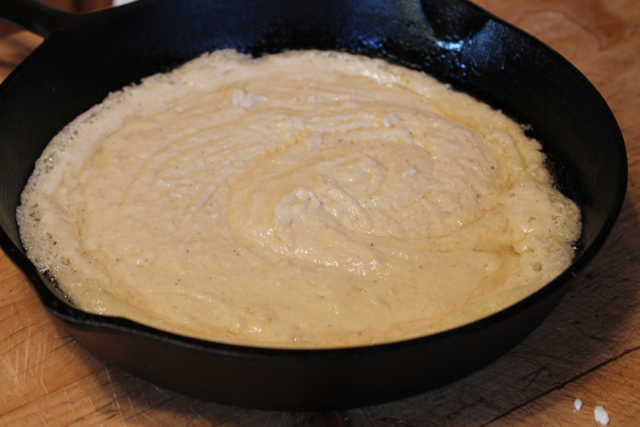 Once stirred, pour batter into hot skillet and bake for 20 min until golden.